Reference: Anon, ‘Battle(s) for the Soul of Environmentalism’, New Options 65, 26 March 1990, p. 2. By the early 1990s there were growing tensions within and between environmental groups all over the world over the extent to which they should align themselves with governments and private firms. The Hong Kong based Friends of the Earth group withdrew from the Friends of the Earth International after disputes over corporate sponsorship. 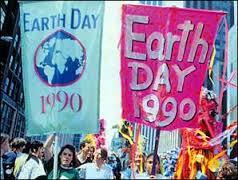 In the US, disagreements emerged over Earth Day 1990 when some environmentalists claimed it had been taken over by corporate and government interests who were using their wealth and power to dominate the agenda and message of Earth Day. In Europe the Greens are torn with internal strife over strategies and philosophies. In Australia the decision by two of the major environmental groups, the Australian Conservation Foundation (ACF) and The Wilderness Society (TWS), to endorse the Labour Party was criticised within the environmental movement. Less contentious but still a matter of some controversy was the involvement of environmental groups in the Government’s “Ecologically Sustainable Development” working groups. In each of these situations environmentalists have argued over campaign strategies which involve becoming aligned in some way with the existing power structure in order to influence decision-making from within. Reference: Stephen Cotgrove, Catastrophe or Cornucopia: The Environment, Politics and the Future, John Wiley & Sons, 1982. Stephen Cotgrove has characterised two different paradigms and named those who subscribe to them as catastrophists and cornucopians. Cornucopians subscribe to the dominant social paradigm. At the heart of this paradigm are material values, including the goal of economic growth. Cogrove refers to environmentalists in this camp as nature conservations. 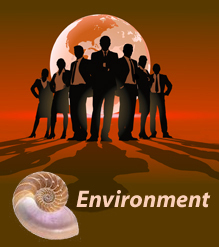 Within this paradigm the environment is valued as a resource. The alternative paradigm is based on non-material values and those who subscribe to it, environmentalists, believe that the natural environment has an intrinsic worth. Reference: Timothy O’Riordan, Environmentalism, 2nd edition, Pion, London, 1981. Other writers have also characterised differing paradigms. Timothy O’Riordan has described those who accept the status quo of political and economic power as technocentric and those environmentalists who want to see that status quo changed as ecocentrics. Both writers tend to portray the similarities of those at the dark green end of the spectrum rather than the differences and indicate a single alternative paradigm. However deep ecologists, social ecologists and ecofeminists and various others at the dark green end of the spectrum envisage quite different futures. Light green environmentalists have a whole range of environmental strategies available to them from activism to negotiation. However, in practice for groups which want a good ongoing working relationship with policy makers to facilitate negotiation, activism becomes less of an option because it involves confrontation which does not sit well with the mutual trust required for that relationship to work. Similarly, the power of groups who negotiate with governments depend on their ability to influence voters and this requires respectability and moderateness which many types of activism destroy. On the other hand dark green environmentalists are more willing to confront corporate and bureaucratic power and unwilling to refrain from activism in order to foster the relations necessary for negotiation. Moreover they are generally ideologically opposed to negotiation and the compromises that it involves and unlikely to be able to conduct successful negotiations because of the lack of shared goals and assumptions between them and the policy-makers. Reference: Notion, Hazel, 1990, ‘Greenpeace - Getting a Piece of the Green Action’, Philosophy and Social Action, 16(3) 1990. Dark greens want to change the world; light greens want to clean up the one we've got. The light end of the green spectrum, meanwhile, says it's just business as usual. The solution to pollution problems is to have cleaner industries, environmentally safer products and sustainably yielding forests. Furthermore, just around the corner there's a new technology or chemical that will fix whatever it is you're worried about.